This lovable cat is ready for adoption! This item is from purchasing Cat in a Bag from the Daybreak Marketplace for 399 DBC. 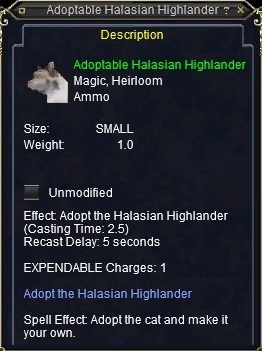 This item turns into Halasian Highlander Familiar once right clicked.